In my Utah bankruptcy practice, I help a lot of people who have been divorced. One of the most common reasons that divorced folks end up in my office is because they have gotten behind on their child support or alimony payments and can’t get caught up. For some, the Utah Office of Recovery Services might even be garnishing 25% paychecks to pay their support arrearages. Luckily for them, the bankruptcy toolbox is full of tools to help them manage their divorce-related obligations. Under the bankruptcy code, court-ordered “domestic support obligations”, including child support and alimony, are not discharged in either chapter 7 or chapter 13 bankruptcy. For good reason, Congress decided that since the recipients of these types of maintenance obligations depend on child support and alimony for their financial support, they cannot be discharged through bankruptcy. But that doesn’t mean that bankruptcy isn’t an extremely helpful tool when it comes to dealing with child support or alimony obligations. For some clients who have gotten behind on their child support or other alimony payments, chapter 13 bankruptcy makes better sense. 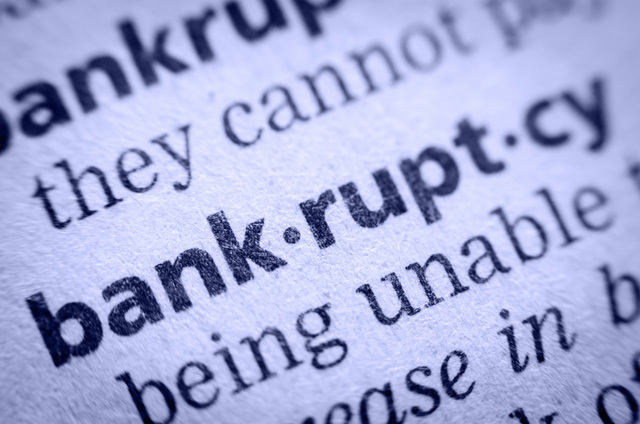 Although “domestic support” arrearages can’t be discharged in a Utah chapter 13 bankruptcy case, such arrearages can (and in fact must) through the chapter 13 bankruptcy plan. In fact, child support and alimony arrears paid through a bankruptcy plan are paid at the expense of most other creditors and are spread out over a 3 to 5 year period. This tool of paying back domestic-support-obligation arrears through a chapter 13 bankruptcy is especially helpful for clients are having 25% of their checks garnished by the Utah Office of Recovery Services to pay back child support arrears. Other clients might not have enough income to pay both their ordinary debts and their alimony or child-support payments. In these cases, we often use a chapter 7 bankruptcy to eliminate the ordinary debts and, thereby, free up money that they can use to stay current, or catch up, on their support payments. An added bonus to using a chapter 7 bankruptcy in a case where a client is behind on their child support or alimony payments is that assets or money that that a chapter 7 bankruptcy trustee collects are used to pay down the non-dischargeable child support, alimony, and other domestic support arrearages—even before the chapter 7 bankruptcy trustee gets paid. For other obligations and debts ordered to be paid as part of a divorce, such as joint debts ordered to be paid by one spouse, are treated even more favorably and can even be eliminated in a chapter 13 bankruptcy. There are some caveats to this rule, which I’ll discuss in a later post. In short, a bankruptcy in Utah can be an awesome tool for managing child support and alimony obligations and arrearages. Need help? Get a free bankruptcy evaluation to see if bankruptcy is right for you. Over the last number of years, I’ve helped a lot of people in Utah file for and complete chapter 7 and chapter 13 bankruptcy cases. I help them prepare and file their petitions and give them advice about how to protect their assets as best as possible. I go to their creditor’s meeting with them to make sure that they are treated fairly by their trustee. I’ve helped many propose and confirm Salt Lake chapter 13 bankruptcy plans that allow them to catch up on their mortgages, reduce their car payments, pay their back taxes over time, and pay as little as is necessary to their unsecured creditors. And, through the process, I have helped my clients discharge (eliminate) hundreds of thousands of dollars worth of debt so that they can get back on their feet. If I’m honest, I have to admit that after my clients get their bankruptcy discharge and they no longer need my Salt Lake bankruptcy services, I’ve wonder what happens to them. Do they use their bankruptcy to really get on their feet again? Do they take steps to regain control of their financial live and move towards financial independence? As I’ve followed up with some, I’ve learned that some have but many have not. As I’ve thought about it, I have come to believe that bankruptcy is a powerful financial planning tool to help “honest but unfortunate debtors” get out of debt so that they can begin anew, with a fresh start and opportunity to move ahead and become financially independent. As a Salt Lake City bankruptcy attorney, I have come to realize that I am in a powerful position to offer needed, post-bankruptcy financial help and counseling to Utah bankruptcy clients in need of good, sound, advice. I can teach my clients the importance of budgeting and how to do it. I can teach my clients about the importance of creating an emergency savings fund and strategies for doing so. I can teach my clients about the importance of being properly insured to protect themselves and their families in the event of death or other tragedy. I can help my clients understand the importance of preparing and following a plan so that they can retire some day. I can and should be more than an ordinary bankruptcy attorney. I need to be a different kind of bankruptcy attorney. To this end, I have begun to offer a free, post-bankruptcy Fresh Start Meeting. At the meeting, I review my clients’ bankruptcy discharge papers and help them dispute incorrect debt reporting to the credit bureaus so that they can begin the process of reestablishing their credit. More importantly, I talk with them about basic financial-management and planning principals and the importance of developing a financial plan that they can use to catapult themselves to financial independence, and give them options for developing and working that plan. As I’ve been doing this over the last few months, I’ve learned from my clients that many of them are afraid or uncertain about their financial future and just need help and guidance to help them get started along the path to financial independence. I’m excited about helping them accomplish this. PROBLEM 1: If you file for bankruptcy in Utah before you get your tax refund, your refund becomes property of the bankruptcy estate, and you will have to pay it to the trustee or to your creditors or risk losing your bankruptcy discharge. SOLUTION: If there isn’t an urgent reason to file your case immediately (such as needing to file to stop a foreclosure sale or a garnishment) wait until after you get your refund and have had a chance to spend it on reasonable and necessary expenses before filing. If you don’t spend it before you file your Utah bankruptcy case, you will still have to give it up in your chapter 7 bankruptcy case or pay more money in your chapter 13 bankruptcy case, because you can’t exempt cash under Utah’s exemption laws. BEFORE YOU SPEND YOUR TAX REFUND, however, you should talk with an experienced Utah bankruptcy attorney, because spending it in the wrong way (including giving or paying money to family members or buying a big-screen tv) can cause serious (read expensive) problems in your Utah chapter 7 or chapter 13 bankruptcy case. PROBLEM 2: It’s usually a good idea to hire a Utah bankruptcy attorney to help you avoid problems that often arise in chapter 7 or chapter 13 bankruptcy cases, but you can’t find a way to come up with money to pay for an attorney. SOLUTION: Using your tax refund to pay for your Utah bankruptcy is an acceptable way to use your tax refund without getting into trouble with your bankruptcy trustee or the court. And paying a relatively little amount of money to make sure your bankruptcy is done right and get rid of a substantial amount of debt is a good investment. PROBLEM 3: You filed your bankruptcy case before you get your tax refund. SOLUTION: Don’t spend your tax refund when you get it. It doesn’t belong to you and your bankruptcy discharge probably be denied or revoked if you don’t give it to the Trustee. Let your bankruptcy trustee know that you have it and wait until they tell you what to do with it. If you have already spent it, talk with an attorney to see what your options might be. In short, if you anticipate getting a tax refund this year, talk with an experienced Utah bankruptcy attorney about what you can and cannot do with your refund, and when it makes most sent to file your Utah chapter 7 or chapter 13 bankruptcy case. Also, be sure to hire a reputable Utah Accounting Firm to do your taxes so you can minimize the amount of taxes you owe and maximize your refund. Feel free to call me at 801.207.8262 with any questions. If the federal government shuts down this Friday, you will will still be able to file for bankruptcy. The federal court system, which includes bankruptcy courts, has a reserve of non-apportioned funds to continue operating even if Congress fails to fund the budget. Although nonessential court personnel might be furloughed, judges, clerks, and other essential workers will remain on the job. Additionally, the Court’s electronic filing system, which allows bankruptcy attorneys like me to file chapter 7 and chapter 13 bankruptcy petitions and other court documents 24 hours a day, will remain online. During tax season, one of the issues that I discuss with all of my clients in my Salt Lake City bankruptcy practice is what to do with tax refunds. Under bankruptcy law, when a person files for bankruptcy, a bankruptcy estate is created, and income tax refunds that come from work done before filing the Utah bankruptcy case become property of the bankruptcy estate. Now that we are in 2011, all tax refunds refunds from 2010 will be property of the bankruptcy estate for any bankruptcy case that is filed. And, as a result, any person who files a Utah chapter 7 bankruptcy case in 2011 will have to give up their entire 2010 tax refund in their bankruptcy case, unless they spent their tax refund on reasonable, necessary, and legitimate expenses before filing their bankruptcy case. Waiting to get your tax refund before filing your Utah bankruptcy case will give you the benefit of giving you a source of money to pay your rent, stock your pantry with food, and pay for your bankruptcy case. Anyone considering filing for bankruptcy in Utah should should talk with Utah bankruptcy attorney about the timing of your bankruptcy case and the acceptable and unacceptable ways to spend your tax refund before you file your Utah bankruptcy case. Call me at 801-337-3907 for a free Utah bankruptcy consultation. We don’t have to look very far to see the effects of the economic downturn. Yesterday, the Salt Lake Tribune reported that number of homeless children in Utah has risen by 48%, to nearly 12,000, since 2008, as more an more families are losing their homes during this economic crisis. For people who face overwhelming debt or are concerned about losing their homes, chapter 7 or chapter 13 bankruptcy can be a powerful tools to take control of your finances and save your home.